The new film, the director’s second true Western after 2012’s Django Unchained (and third if you count 2009’s “spaghetti Western” Inglourious Basterds), follows a group of eight outlaws who take shelter in a secluded cabin after a massive blizzard strands them in the freezing wilderness of post-Civil War Wyoming. At San Diego Comic-Con in July, Tarantino detailed plans to show the film in the more expansive 70mm format for two weeks beginning on Christmas Day before the film opens wide. Tarantino also revealed that legendary composer Ennio Morricone (The Good, the Bad and the Ugly, A Fistful of Dollars) would compose the score for Eight, in what will be his first original score for a Western in 40 years. Bruce Dern, Walton Goggins, Tim Roth and Channing Tatum also star. 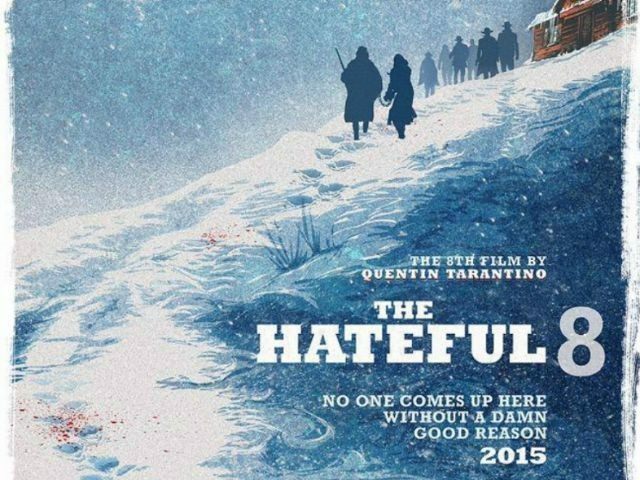 The Hateful Eight hits select theaters in 70mm on December 25 before opening wide on January 8. Check out the first full trailer above.